Everyone in Seattle knows (or should get to know!) the silky feel of golden sun on your skin that Maui delivers along its many eye-poppingly beautiful beaches. Yet Maui is so much more. The ancient culture is vibrantly alive, offering a glimpse into the culture of the past wrapped up in the warm aloha spirt of today. 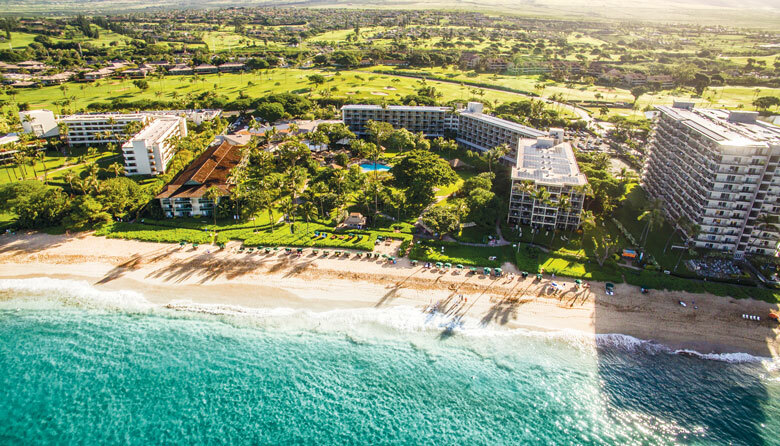 Experience authentic Hawaii at Hale Ho‘okipa, newly opened at the Ka‘anapali Beach Hotel, recognized as “Hawaii’s Most Hawaiian Hotel.” This Hawaiian cultural center offers activities to immerse and educate yourself in Hawaiian culture, traditions and history. Learn traditional weaving techniques and the origins of local materials as you weave an item to take home. Pick up a pu’ohe (bamboo trumpet) or an ‘ohe hano ihu (bamboo nose flute) and discover when they are used and how they are made. Dance a hula to understand how this beautiful art form plays a critical role in preserving Hawaiian culture, language, and history. Talk story with the staff of accomplished alaka‘i to absorb their expertise on Maui, Hawaiian culture, spirituality, and language. String a colorful lei and learn about the different styles, uses, and significance of this well-known and recognized symbol of Hawaii. Or take to the ocean. Put your muscles to the test in a six-person wa’a (canoe), christened Kaleopo‘okela, with experienced Maui watermen as guides sharing their knowledge of Maui and its shoreline from an authentic Hawaiian perspective. View the golden stretch of Ka‘anapali Beach with a stunning background of the West Maui mountains from your exclusive seat on the water, where you could even spot a whale (in season). The ocean center, Hale Huaka‘i is staffed by veteran alaka’i who impart their wisdom and ocean expertise to activities like snorkeling, stand-up paddle boarding and more.